The mobile role-playing game hit brings a whole new adventure for tablet users. Brave Frontier, the hit Japanese mobile role-playing game published and operated worldwide by gumi Inc., is newly-optimized for Android* tablets powered by Intel® Atom™ processors. Now, an even larger gaming community worldwide has access to the thrilling action of this remarkable hit game. In a timeless battle of good and evil, players enter the realm of Grand Gaia where they must assemble squads of heroic characters to defeat the fallen god Maxwell. Players can collect over 600 unique monsters and heroes to join forces with in over 100 missions, advancing through challenging dungeons with their special skills. The stunning graphics & sound effects, electrifying soundtrack and action-packed turn-based combat make this mobile gaming experience one-of-a-kind. This new Intel® Atom™ processors optimization delivers the game’s magical Japanese animation style and masterful gameplay to Android* users. gumi Asia Pte Ltd. has access to a range of business and technical tools through the Intel® Developer Zone. 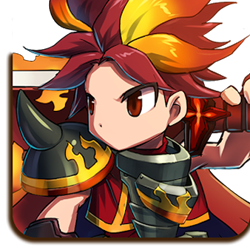 "Brave Frontier shines on the latest Android tablets," says David Ng, CEO of gumi Asia Pte Ltd. "And the responsive Intel Atom processors bring out the game's lively action better than ever." gumi, Inc. (Tokyo Stock Exchange: 3903) is one of the top mobile game developers in Japan and has published titles worldwide, such as popular Japanese RPG Brave Frontier, on various platforms. gumi aims to change the world through innovative entertainment products and services, including both original content and collaborations with popular IPs. Headquartered in Tokyo, Japan, the company has been growing its presence globally since 2012, with overseas operations in Asia in China, Korea and Singapore and Taiwan, and in Western countries in Canada, France, Germany, Sweden and the U.S. For more information, please visit http://gu3.co.jp/. The Intel Developer Zone supports independent developers and software companies of all sizes and skill levels with technical communities, go-to-market resources and business opportunities. To learn more about becoming an Intel® Software Partner, join the Intel Developer Zone.